After Jair Bolsonaro’s big win in Brazil, Altamar confronts the question everyone is asking: what’s next? Some of his most notorious campaign proposals may be stymied by Brazil’s powerful Congress, but radical rhetoric combined with political gridlock can prove just as damaging. The threat of bloodshed, anti-democratic rule, and retrograde social policy remains real when right-wing populist and strongman personality Jair Bolsonaro is sworn in on January 1st, 2019 as the president of Brazil, the world’s fifth largest country and eighth largest economy. But clashing interests could also prove a recipe for stagnation. Bolsonaro is surrounded by economists that want privatization and industrialists that want protection. Reformers for deep change and military pensioners that don’t want to give up a single real. Evangelicals for new foreign policy and agricultural interests that don’t want to rock the boat for Brazilian exports. Brazil cannot afford stagnation amid a sluggish economy, violent crime, rampant corruption, lackluster education, and non-existent infrastructure. Bolsonaro’s power to push through his agenda will be checked by Congress. “In Brazil, the Parliament is stronger than the Executive. We function in a parliamentary system disguised as a presidential system,” says Thiago. This could also spell trouble for needed structural changes, including pension reform. It will also be tough to cast off over two centuries of Big Government. “Brazilians love the State. We are an invention of the State. Everyone in Brazil, whether they claim they are or not, is center-left,” he says. But that’s not to say that power of narrative isn’t real. “When you have a president that has a very controversial, direct and sometimes very aggressive narrative against any group, although this doesn’t necessarily transform into public policies, this empowers the local idiot, the local individual in any city, to start acting, to feel empowered by that narrative. And this is dangerous,” says Thiago. 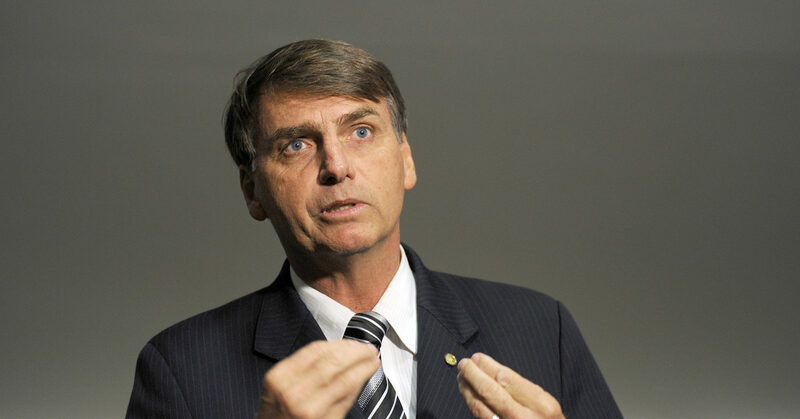 Listen now to our analysis of what Brazilians and the world can expect from Bolsonaro – available for download and streaming.